Want a great holiday that's guaranteed to be filled with sun, sea, and beaches, at any time of the year? Then book a holiday in the Netherlands Antilles. The beautiful islands in the Caribbean Sea are a true paradise on earth for those that love sunny and tropical places. Pearly white beaches, azure sea, a clear blue sky and palm trees waving in the breeze - the only thing missing is a resort where you can relax and enjoy yourself. You will naturally spend your holiday in the Netherlands Antilles on the most beautiful of all the Caribbean islands: Bonaire. 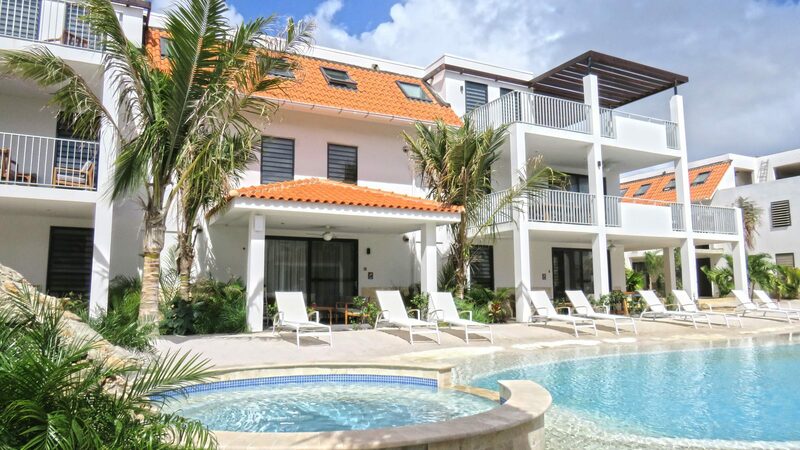 Resort Bonaire, located on the west coast close to the capital Kralendijk, offers a luxurious stay in modern holiday apartments. Will it be a romantic holiday with just the two of you, or a family holiday with the kids? You can rent a luxurious apartment for 2, 4, or even 6 people. The stylish design, perfect finish and deluxe facilities make your stay relaxing and carefree. 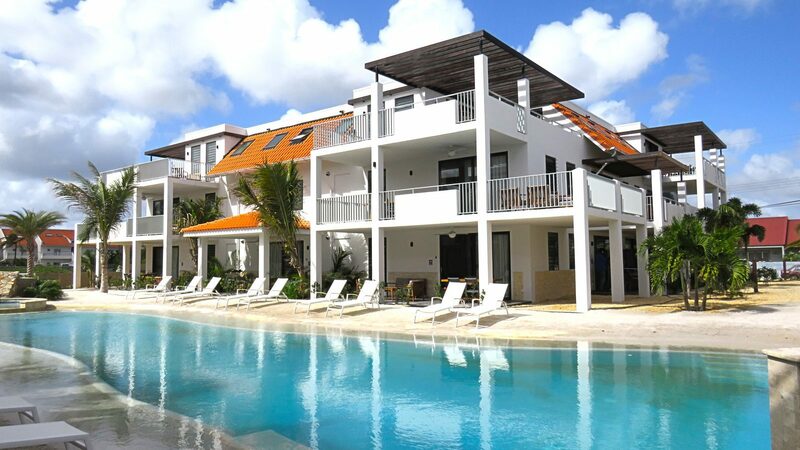 Not only our apartments on Bonaire will delight you, our resort's facilities are also appealing. You and your company can relax in the swimming pool with real sandy beach and enjoy the comfortable lounge chairs, the play equipment for children, and the pool bar for the adults. Let your family and friends back home know all about your great holiday in the Netherlands Antilles using our Wi-Fi. A round trip around the Netherlands Antilles with all its sights is also an experience you will never forget. It's not just Bonaire that is gorgeous; the other islands are also worth a visit. Planning to make a round trip around the ABC-islands and looking for a place to stay on Bonaire as a starting point, stop, or end station? Then Resort Bonaire is the place for you. Our holiday apartments and resort facilities offer you a completely carefree and relaxed stay. The islands of the Netherlands Antilles are great for a round trip. Each island has its own unique character and unique sights. What they do have in common are the pleasant temperatures, the beautiful sandy beaches, a relaxed atmosphere, and an unrivaled underwater world. Are you looking for a more active round trip with various outings, or do you want to relax on the various beaches? Your round trip around the Netherlands Antilles is completely up to you. The leeward islands Aruba, Bonaire and Curacao are located close to each other and are ideal for island hopping. This can also include a stop at the windward islands Saba, Sint Maarten and Sint Eustatius. You can create your own trip around the Antilles. 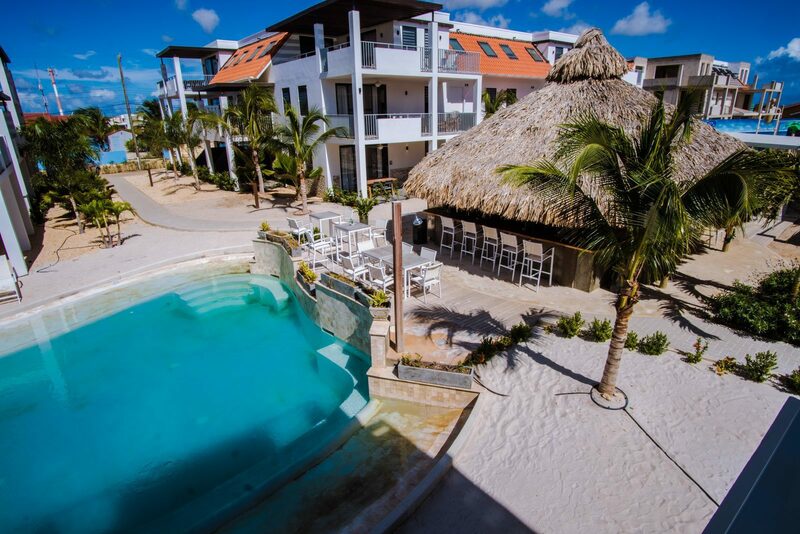 Your perfect adventure begins or ends with a luxurious stay at Resort Bonaire.